Full service pet grooming and boarding facility including; dog grooming, cat grooming, dog boarding, doggie day care, pet spa services and more all in a cage free, no force environment. Blue Angel Pet Salon has three locations to serve you conveniently located throughout the greater Pensacola, FL. area. 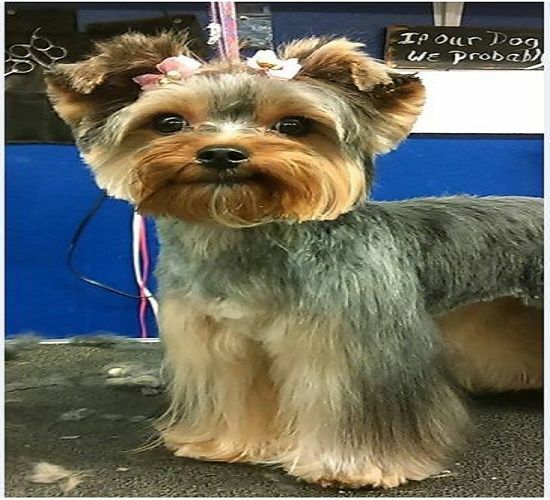 Our top notch pet groomers have over 200 years of combined experience with all breeds canine and feline and are equally skilled at preparing both dogs and cats for high level shows or your couch, whichever you prefer. Blue Angel Pet Salon was founded by a Veteran and we offer a 10% discount to all of our Veteran clients and seniors and we also offer a 25% discount to all first time clients. Tampa's premier doggy daycare and overnight dog boarding facility where the dogs socialize and play all day long. Watch your dog play on the web cameras.